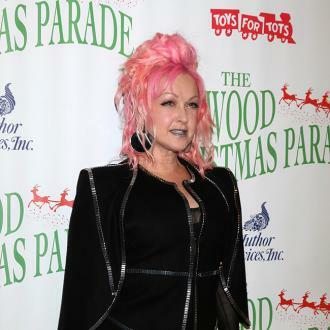 Cyndi Lauper and Debra Messing are joining a gay bar crawl to campaign for U.S. presidential hopeful Hillary Clinton. 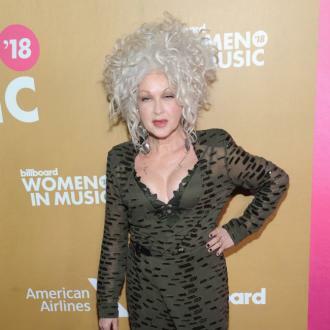 The True Colors singer, 63, will join the Will and Grace star in Philadelphia, Pennsylvania for the bar crawl taking in many of the city's lesbian, gay, bisexual or transgender (LGBT) friendly venues on Friday (04Nov16). Although Americans officially go to the polls next Tuesday (08Nov16), many states have early voting procedures, with Pennsylvania's early voting deadline falling on Saturday (05Nov16). Cyndi and Debra will join two politicians from Hillary's Democratic party at the event organised by Philadelphia's Liberty City LGBT Democratic Club, including former Pennsylvania Governor Ed Rendell and U.S. Senate hopeful Katie MCGinty. A post on the Democratic Party's Facebook page states that the crawl will begin at 9.30pm and that it will take in six Philadelphia gay bars. The crawl was originally scheduled for Saturday (05Nov16) but was moved to Friday in order to avoid a clash with a free Katy Perry concert and appearance by Hillary in the city. Debra has been a vocal supporter of the 69-year-old aiming to become the first ever female president, even speaking at the Democratic National Convention in July (16). Pennsylvania is one of the key states in Hillary's battle with her Republican rival Donald Trump to succeed President Barack Obama as America's leader. Hillary has had a sustained but narrow lead over her opponent in polls surveying voters in the state.